As far as beers go, Tecate is on the lighter side, as it has somewhat fewer calories than the average brew. Drinking too much of any beer, however, can put you on the fast track to weight gain, so consume in moderation to spare your figure. 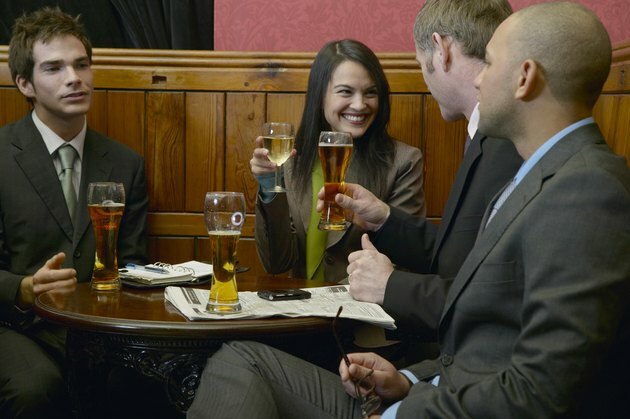 For men, this means drinking two or fewer beers per day; for women, drink one or no beers per day. One 12-ounce can of regular -- nonlight -- Tecate contains about 138 calories, whereas the average regular beer contains about 153 calories in the same serving. If you're watching your waistline, however, the light version is a more sensible choice. Each 12-ounce serving of Tecate Light contains about 95 calories, which beats out the average light beer by about 8 calories a serving.